NOTE: this is a new blog feature that I hope to have each and every Monday here. Concerts I’ve been to, albums I like, meet and greets I’ve been to… everything and anything related to music. If you’ve never heard of Arcade Fire, they are a Canadian band with American roots who took the indie music scene by storm in 2004 with their debut release, “Funeral” Songs like “Wake Up” and “Haiti” became anthems for fans and the band took their new found fame in stride. In 2007, they released their second album called “Neon Bible”, which brought a slightly different sound, but the same type of musical vibe with tracks like “Intervention” and “Keep The Car Running”. This was the year I first heard of them, from my daughter. We saw them live in concert (and got to meet them afterwards) and I was hooked on their music. I can’t recommend this album enough to anyone who appreciates a good creative process in making music and turning something discrete that turned popular back to something independent. Were they just on The Daily Show? Maybe last week? Seems I’ve seen their name in my DVR list as a guest somewhere. 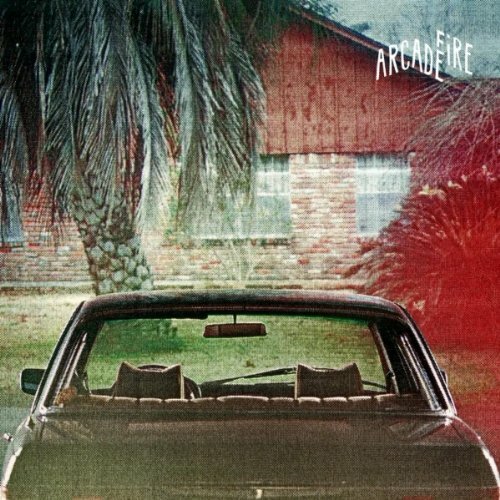 I’ve heard of Arcade Fire but haven’t heard a single song by them. You have good music taste so I trust your judgment and will give them a whirl. I can’t wait to read your upcoming Monday posts as I love everything about music. Like Kevin, I’ve heard OF them, but haven’t heard them. I’ll check them out. Very cool. I’ll look forward to it. Just stick to it better than I have with Snippet Wednesday of late. Oh and I totally agree with your assessment of Arcade Fire’s new album. sybil law – Arcade Fire is awesome. tori – Thank you. I hope to keep it up each week out there. delmer – I think they were on the Daily Show. Great band. kevin – You must check out their music. I think you will like it. karl – I think you will like them. Very good band. kapgar – Oh, I’m hoping to keep it good here each Monday. It’s easy to get out of habit. I’m trying to make this place look like someone lives here more often. And an Arcade Fire fan you are.